Its an important day in the world of politics today folks, with the General Election being held across the UK. Millions of voters will be choosing who THEY want to elect as our Prime Minister. The three main parties are the Conservatives (the blues), Labour (the reds) and the Liberal Democrats (the yellows). 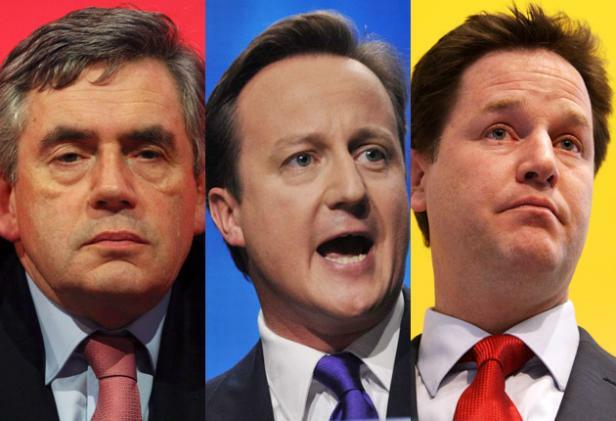 The leaders of these parties are David Cameron, Gordon Brown and Nick Clegg, respectively.